Crisostomo Ibarra, the protagonist in Dr. Jose Rizal's Noli Me Tangere, leaps from the pages of the incendiary novel and onto the stage in a contemporary dance retelling by Ballet Philippines July 25, 2011 at the Colegio San Agustin-Bacolod Gym with 2 shows at 2PM and 6PM. Artists’ groups of Negros Dance Pull Dance Company and The Performance Laboratory Inc. come together with The Negros Museum to commemorate the 150th Birth Anniversary of our national hero, Dr. Jose P. Rizal with this rare performance of Ballet Philippines in Bacolod. 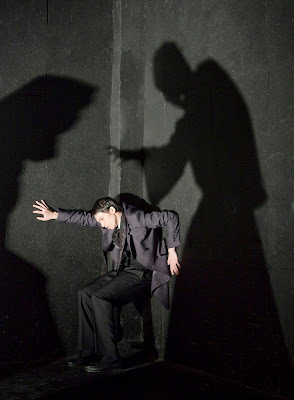 Under the choreography of Paul Alexander Morales (Artistic Director of Ballet Philippines) and music by Jed Balsamo, Crisostomo Ibarra springs to life in a new production about a young man’s struggles to stand tall in his ideals despite the cruel buffets of fate. The dance narration takes the audience inside the psychological world of Ibarra and strips bare this epic story that underscores the continuing relevance of Rizal’s timeless character. 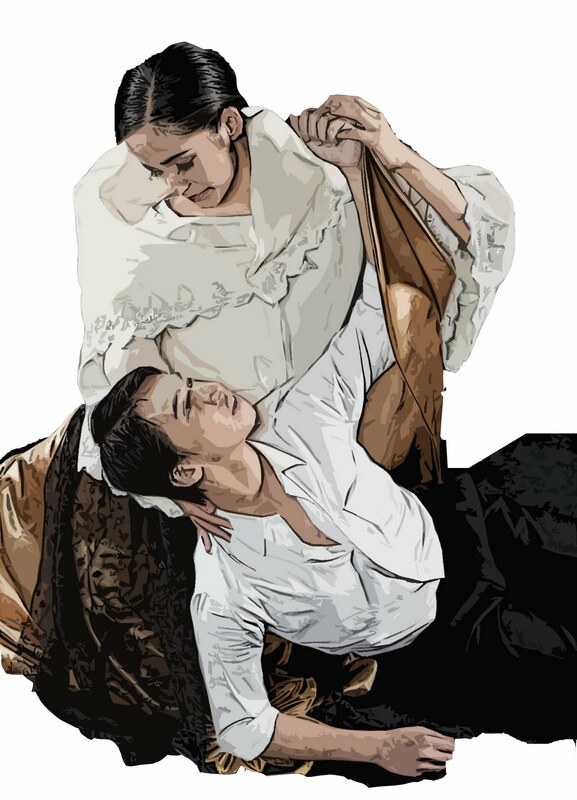 Crisostomo Ibarra, the dance, highlights the life of an idealist reformer, a man striving to make a change in a society living under corruption and oppression. It takes an introspective look at the life of a hero sacrificing his personal happiness for love for country. The dance resonates with hope and reflects the Filipinos’ need for heroes in a society buffeted by many challenges and divergent beliefs. Crisostomo Ibarra is presented in cooperation with the National Commission for Culture and the Arts NCCA in celebration of the Philippines as the ASEAN Cultural Capital for 2010-2011. It topbills Jean Marc Cordero reprising Crisostomo Ibarra; silver medalist in the recently concluded International Ballet Competition, Candice Adea, as Maria Clara; Kit Trofeo, Angel Gabriel, and Carissa Adea lead the cast. The BP touring group also includes Bacolod’s Macel Dofitas. that shaped a nation. 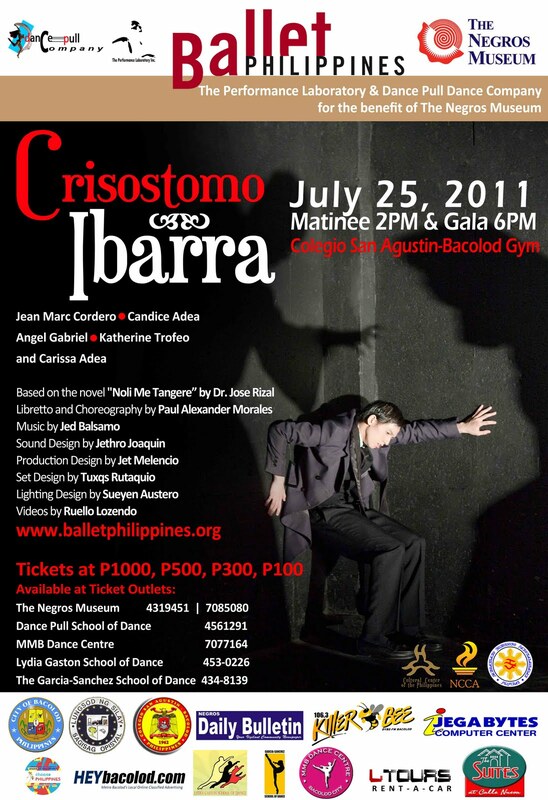 Crisostomo Ibarra is a winner for Outstanding Dance Production and Outstanding Ensemble Performance in the upcoming 2010 Gawad Buhay Awards for the Performing Arts. Tickets of P1000, P500, P300 and P100 are available at the Negros Museum 708-5080, MMB Dance Center 707-7164, Lydia Gaston School of Dance 453-0226, The Garcia-Sanchez School of Dance 434-8139 and Dance Pull Dance School 456-1291. Students will be given 30% discount and bulk purchases can avail of special discounts also.